My RSC90 is also on the workbench again, hopefully to have it up and running for next weekend in Varsseveld. As seen before the footpegs had already been changed, but the gearbox was still an issue. It had problems shifting from first to second gear, ending up somewhere in between, halfway in neutral but totally stuck until you would kick it up and down a few times and finally end up in second. 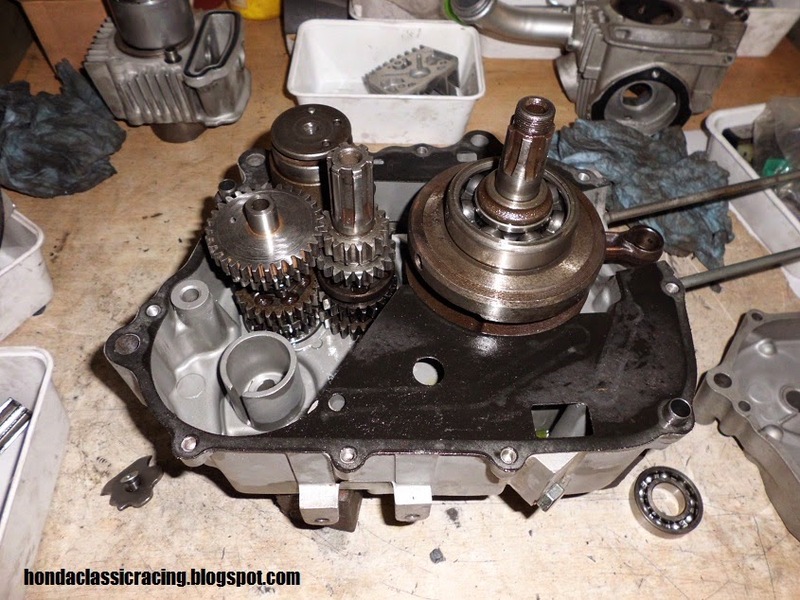 And besides that, the gearbox had been changed into a close ratio box, except for first, what meant I had a huge gap between first and second. So now, I opened up the motor, to finally have first gear altered to achieve a full 4-speed close ratio gearbox as near as I could get it to the original RSC90 gear ratios. While in the meantime altering the shift forks hopefully getting a smooth transition from first to second. 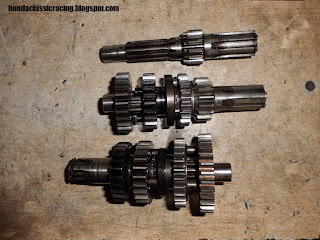 I had already found some gears that could become a first gear in the S90 after grafting them onto S90 parts and my dad made it a reality. My gearbox now has an SS50 second gear made into an S90 first. 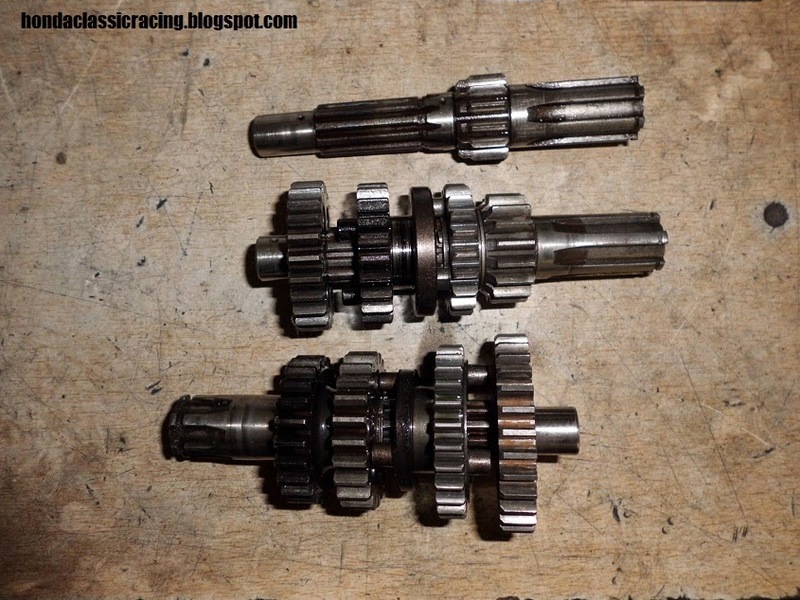 clearly visible, the difference between the stock 1st gear on top and the diameter of the modified shaft. Also swapped the crank for a different one, because this motor had terrible vibrations, maybe this could be the solution. Now to finish the motor and get it back in the frame and I'll have to check everything as a lot of parts had been taken out or used for other bikes in the meantime.